I can’t get over how much this place means to us. No one would see our kids without money upfront – until we found this place. Since 1965, we’ve assisted thousands of patients at no cost. But this isn’t a “get what you pay for” situation. You’ll receive professional care, with modern equipment no different than any other clinic. And if it’s been awhile since you’ve been to the dentist, no problem! You’ll feel comfortable here knowing you’re in good hands. All dental treatment is free. We do ask for $20 per visit for administrative costs. If you can offer more, the additional amount will be considered a donation which will assist in helping the clinic serve additional patients. 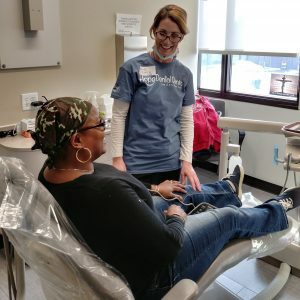 We serve anyone who does not have dental insurance and cannot afford to pay for services at another clinic. 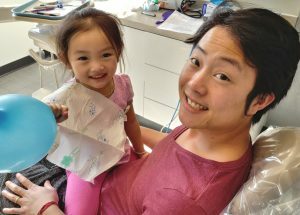 Call us at 651-789-7605 between 8:00 a.m. and 5:00 p.m.
We also offer dental care events some Fridays and Saturdays during the year. We’ll examine your teeth for problems you may not yet see or feel, as well as check for cavities or signs of tooth decay. We’ll also check for gingivitis or periodontal disease. We’ll scale and polish your teeth to remove plaque and tartar. To make brushing easier and more effective, we’ll insert plastic resins that bond and harden in the grooves of your teeth. These sealants also help prevent tooth decay. If you have cavities, we’ll fill them with amalgam or composite resin to prevent more damage to your teeth. We’ll remove any teeth which are no longer restorable to get rid of infection and pain. We’ll teach you practices for good oral health so your teeth stay strong and healthy long into the future!